Arsenal failed to break down a stubborn Sporting Lisbon side in a stalemate at the Emirates. The Portuguese side to put on a spirited show and frustrated Unai Emery's team. 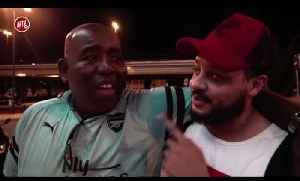 Robbie Gets Smashed In Lisbon (AFTV Vlog) | Sporting Lisbon vs Arsenal AFTV winner of The Best Overall Football Content Creators at The 2018/19 Football Blogging Awards AFTV is the Unofficial.. Sporting Lisbon 0-1 Arsenal | Improvements Must Be Made! Sokratis Should've Been Sent Off! (Moh) SUBSCRIBE HERE: https://goo.gl/Zq9NcA Real Football Show Podcast:.. 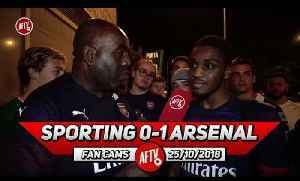 Sporting Lisbon 0-1 Arsenal | Torreira Has Been Unai Emery's Best Signing! SUBSCRIBE HERE: https://goo.gl/Zq9NcA Real Football Show Podcast:.. 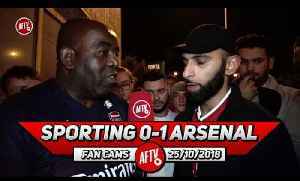 Sporting Lisbon 0-1 Arsenal | You Dominated The 2nd Half!! (Sporting Fan - Minel) SUBSCRIBE HERE: https://goo.gl/Zq9NcA Real Football Show Podcast:.. 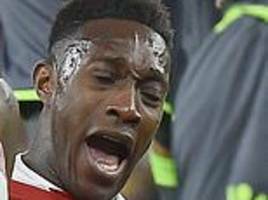 Sporting Lisbon 0-1 Arsenal Player Ratings | Da Da Danny Welbeck! 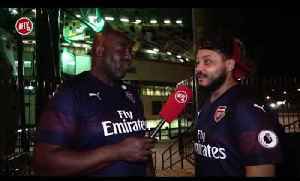 ft Troopz AFTV winner of The Best Overall Football Content Creators at The 2018/19 Football Blogging Awards AFTV is the Unofficial..
Arsenal vs Sporting Lisbon Preview | Let's Complete The Job & Chill Download The Football Flash App: Android: https://goo.gl/jNmRr8 IOS: https://goo.gl/tDoZNA SUBSCRIBE HERE:.. Starting 11lineup Arsenal v Sporting Lisbon (LIVE) SUBSCRIBE HERE: https://goo.gl/Zq9NcA Ian Wright's New Channel: https://youtube.com/ianwright Real Football Show Podcast:..
Arsenal 0-0 Sporting Lisbon | It Was Boring! I Hate This Competition!! 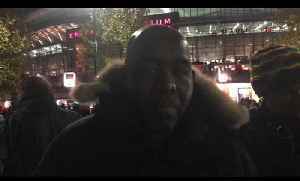 (Moh) SUBSCRIBE HERE: https://goo.gl/Zq9NcA Ian Wright's New Channel: https://youtube.com/ianwright Real Football Show..